The brain drain. Canadian actors in Hollywood. This was a common thread for Canadian media outlets. But there is something new going on in tech north of the border. International corporations have been snapping up Canadian startups and talent. Foreign investors (think US Venture Capitalists) are looking north of the 49th parallel to actively deploy capital in high growth, scalable companies. Just look at the recent track record of activity in the past 9 months. Sitemasher was acquired by Salesforce. CoverItLive was acquired by Demand Media. Highland Capital Partners invests in Montreal-based Beyond the Rack. Bridgescale Venture Partners invests in Toronto-based Dayforce. Bridgescale Venture Partners invests in Toronto-based Bluecat Networks. FTV Capital invests $35M in Toronto-based Varicent. Altos Ventures invests $4.5M in Toronto & SF-based Kontagent. Metamorphic Ventures invests $1.5M in Toronto-based Chango. Grandbanks Capital invests in Toronto-based iLoveRewards. 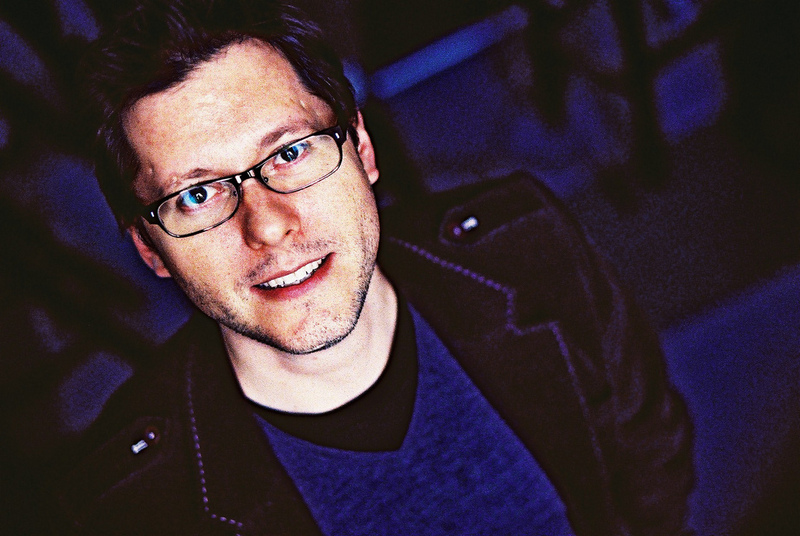 Grandbanks Capital invests in Toronto-based xkoto. Panorama Capital invests $8M in Calgary-based Tynt. So just what is going on. Why the sudden interest and opportunity? When you look at the historical news archive from the Canadian Venture Capital Association (CVCA) about the state of venture capital in Canada you begin to see a common thread. Canadian companies generally raise less money than their US counterparts at each stage of growth. This leads to lower valuations and more traction from local investors and has created a generation of Canadian entrepreneurs that are used to funding growth from profits. In 2009, the US market saw US$18 billion invested through venture capital. Canada startups only raised approximately US$1 billion representing 5.5% of the US number (source: Wellington Fund blog). The challenge is that the Canadian economy is approximately 12.5% of the US economy and this leaves a significant gap in the amount of potential capital being deployed to Canadian startups. There is a gap in the level of investment and the overall economic performance in Canada. This leaves a huge opportunity for other funding sources. When you look across Canada entrepreneurs are using the web, events and models developed locally and internationally to connect each other, share information and build successful startups. There are examples ranging from government-funded initiatives like the Accelerator Centre in Waterloo, WavefrontAC in Vancouver, the RIC Centre, MaRS, Lead to Win in Ottawa, and Communitech (there are a ton more). There are grassroots movements like DemoCamp, MontrealNewTech, StartupCamp and LaunchParty happening across the country. There are an emerging set of incubators and early investors like BootupLabs, Extreme Ventures, Montreal StartUp/Founder Fuel, and Mantella VP. These communities provide entrepreneurs opportunities to connect with other entrepreneurs and seed investors to share methods, pursue informed development and find mentorship and funding. 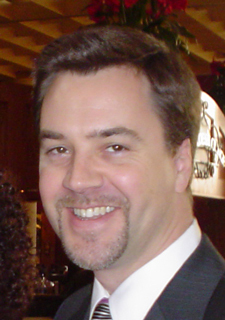 Charley Lax at Grandbanks Capital was a vocal critic of Section 116 of the Canada Tax Act. However, on March 4, 2010 Finance Minister Jim Flaherty announced amendments to the Act that excluded shares of Canadian private companies. Basically, this removed a major tax barrier to foreign investment opportunities. A few of the deals listed above were completed before the changes to Section 116, significantly more seed and early-stage deals involving capital from US investors can be seen. Conspiracy theories of Canadians infiltrating American companies are mostly true. But the brain drain is a thing of the past. Silicon Valley is heading north to find new deals, new talent, and new opportunities. Grow Conference in Vancouver is a prime example of the exploration north of the border. Elite investors like Rob Hayes of First Round Capital, Dave McClure of FoundersFund, Jeff Clavier of SoftTech VC are heading across the border to engage with Canadian entrepreneurs and startups. The Canadian Tech Mafia, sorry the C100, continues to show a strong presence with Rob Chaplinsky from Bridgescale, Chris Albinson of Panorama and others. EnerMotion, a R IC Centre client, has been chosen as one of eighteen companies to receive a share of $40 million in funding from Sustainable Development Technology Canada (SDTC) for its clean technology project. SDTC ,a not-for-profit corporation created by the Government of Canada, finances and supports the development and demonstration of clean innovative technology solutions. The most recent $40 million award is aimed at helping Canadian companies take their innovative technology solutions to the market. The SDTC funding will go toward the development of EnerMotion’s Hybrid Auxiliary Power Unit (HAPU) – a system designed to capture waste exhaust heat, solar energy and braking energy from transport trucks to provide heat, cooling, and electrical power to the cab when the truck is moving and stationary, reducing fuel use and lowering emissions. EnerMotion is a Cleantech company specializing in alternative power systems for transportation applications. The company has developed an innovative hybrid energy system that captures waste exhaust heat, solar energy and braking energy, and converts it to useful cooling, heating, and electricity for Class 8 heavy trucks. RIC profiles EnerMotion. The Research, Innovation and Commercialization Centre (RIC) is a non-profit organization that provides business and technical services to small and medium enterprises (SMEs) to commercialize their innovation. RIC is focused in the aerospace, advanced manufacturing, life sciences and technology sectors. 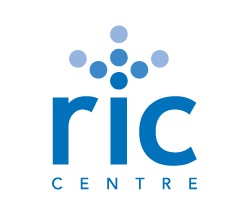 Please visit www.riccentre.com for more information. Sustainable Development Technology Canada (SDTC) is an arm’s-length foundation, created by the Government of Canada, that has received $1.05 billion as part of the Government’s commitment to a healthy environment and a high quality of life for all Canadians. 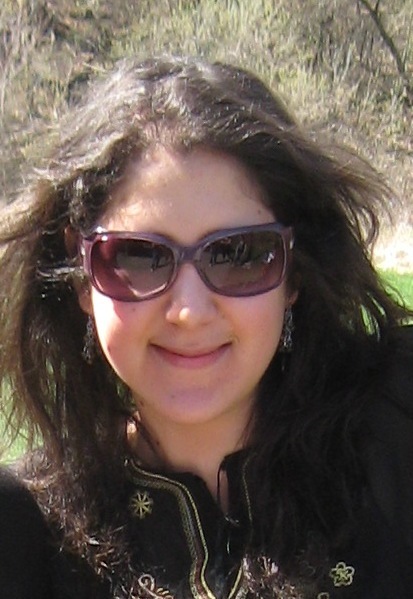 Reem Aziz is a University of Toronto student in the Digital Enterprise Management Specialist stream of the Communications, Culture and Information Technology program. She is currently a Writing and Communications intern at the RIC Centre where she is putting her academic knowledge to the test. She has an interest in marketing and event planning and has background experience in creating posters, banners and web ads. There are some levels of customer service that shouldn’t be breached. Sacred. Alas, one of the last bastions of free extra value has gone the way of the Dodo. I am fortunate that I grew up in an era where an oil check, windshield wash and hockey stickers were the norm with every gas fill up. “Can I check under the hood” was a familiar phrase from a smiling attendant. 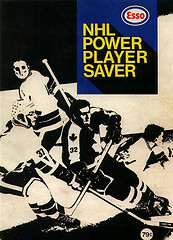 If you are old enough to remember the Esso Power Player sticker series, then you are in my age bracket. Picture yourself pulling into a gas station today where first of all the attendant is in a uniform and cap. He checks your oil, cleans your windows, and gives you something extra. It could have been a glass, a sticker book, gas cap tiger’s tail, whatever, it was free and it kept my parents going back to the same station over and over. Times have changed. Today you pump your own gas, walk into the cashier and pay, sometimes without even a simple thank you. You can check your own oil, or not, and you count your lucky stars first of all if there is clean water in the washer bucket and second if the washer itself has any foam left on the cleaning side. Today was the ultimate value squeeze for me. 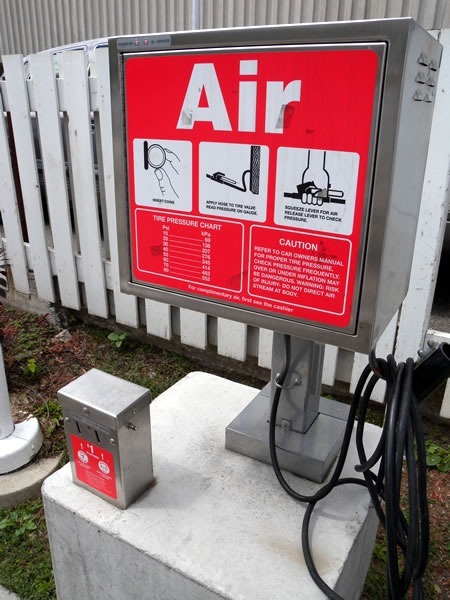 I have always gone to a certain gas station to fill up, partly because they still have free air for my tires. Yes, free air! 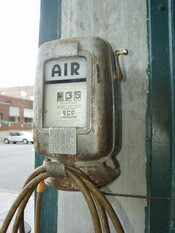 Today I went to use the air and to my horror it was $1.00. I understand paying for suction to clean your car, but a service like providing air to fill up a low tire. Too much. Consumer’s have a right to value for the products and services they buy. In a competitive marketplace, a company’s value proposition is often what creates and maintains brand loyalty. Well it seems in a marketplace where price is essentially the same, service becomes an additional cost, so it’s easy to cut. Imagine if that happened in banks – no tellers, high service charges and, wait that might be a bad example. Imagine going to a grocery store where you had to scan your own items, bag your own groceries and…. Part 4 – This is the final installment in Dev’s extensive series on Local Search Optimization. See the links to Parts 1,2 are 3 below. So you’ve claimed your listing and can finally find yourself on the major search engines when you search your business name and the city you’re located in. But you might be asking yourself, “Why can’t I find myself for <insert city> + <your services> yet?” One of the reasons your listing doesn’t rank is because it does not have enough citation data aggregated via your local business profile, such as your Google Place page. In order to “get found,” you’ve got to start building citations to your listing, much like building links to your website for organic SEO rankings. At its core, citations can be of two types, structured and unstructured. Structured citations come from third-party data providers that the search engines know and trust as business data providers. Unstructured citations would include any reference to your business’ name, phone number, or URL on any given web page recognized by a search engine. You may also find citation sources that allow more rich information about your business, such as the ability to include pictures, videos, extended information such as your business hours, and even reviews and customer ratings. All of this extra information will help you rank in local search, so I encourage you to complete your citation profiles to be as complete as possible. Essentially, citations are the search engine’s way of validating the popularity and credibility of your business, especially since it is difficult to fake a business’ inclusion in a chamber of commerce, print business directory, or government website. On my site I’ve compiled a list of the 20 Best Local SEO Citation Sources for the United States for you to use. That being said, you can either choose to build these manually, use an agency or Local SEO specialist to manage your citation building process, or use a syndication service and business data management service such as Universal Business Listings or Localeze. 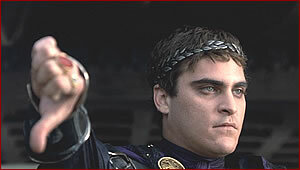 Always use your Doing Business AS (DBA) name in all your citations. Avoid keyword stuffing or mis-categorization. Do not use call tracking phone numbers in your citations. Do complete all available options related to your business information available at each citation source. 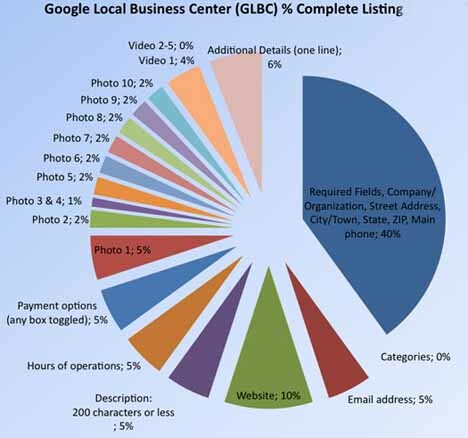 Profile completeness is a ranking factor within Google’s local listings. Profiles that are more complete have better rankings than ones that are less complete, so it’s important to fill out the entire business profile. Nick Thomas of G5 Search Marketing submitted this to Blumenthals.com 4-Aug-2009. This includes filling out the required fields such as Country, Company/Organization, Street Address, City/Town, State, ZIP, Main Phone, and Fax numbers. Make sure you use the actual DBA (Doing Business As) name for your company and that your address information is reflective of your actual address. Fill out the fields as accurately as possible, since Google will attempt to cross-reference them with information from other business databases that mention your company. Where are you located? Where areas do you cover? Fill in your website details. If you do not have a website, it’s best to at least have a one page website freely available through any of the many free website builders. Selecting the right categories can make or break your chance at ranking prominently within Google’s 7-pack, that is, their list of seven similar businesses and organizations in your area. Google offers one main category and four related categories to help define your services. Start typing in the main categorization of your business and you’ll find that Google Places will suggest a category for you choose. Choose the most appropriate suggestion as your main category and then proceed to fill in related categories or other services your business offers. In the past, you may have heard that it is a good idea to stuff city or location keywords into your categories. While this was true last year, it is no longer effective and can even be detrimental to your rankings. In recent months, Google Places has offered the option for businesses to define their service areas. This is especially useful, at least in theory, for mobile businesses such as plumbers, roofers, and other contractors, and home-based businesses. Unfortunately, Google Places still places more trust in brick and mortar based businesses than mobile businesses. Our testing has proven that selecting service areas results in a sharp drop in rankings. As per Google Place guidelines however, this is the only way for mobile or home-based business to represent itself on Google Places. Google Places also offers the option to hide your business address completely, in case you want to keep your business address private. Filling these details out accurately will help you get closer to a 100% complete Google Places listing. You can also select split hours in case your business is open at different times during each day. Adding images and videos not only helps your local business listing become more interactive, it also counts toward a 100% complete listing. Make use of this option and upload some of your business related photos. They can help your customers get an idea of what to expect when they visit or call you. For example, if you are a real estate agent, you can upload pictures of some of the recent properties that you have sold. Be sure you upload 10 images to help make your profile complete. You can also upload business videos to your local business profile. These can be promotional videos, company messages, and DIY or how-to videos for your customers. Google Places gives you an option to showcase up to five videos. While more videos provide increased interactive content for your customers, only one video contributes towards profile completeness. This section allows you to provide all additional details you wish to tell your customers about your business. You may add multiple fields, but only one is needed to count towards profile completeness. Example fields where you may add appropriate keywords include options such as parking availability, free estimates or quotes, or awards your business may have won. A rarely known fact is that you can also add links in your local business listing to your Twitter or Facebook pages. Just add a field called “Follow us on Twitter” or “Follow us on Facebook” and copy the full URL for your Facebook or Twitter Profile into the field on the right hand side. Re-check your listing data to check for accuracy, then click the submit button to save your changes. In about an hour or so — and sometimes faster than that — Google Places will have picked up your listing. If you are in an non-competitive market, you may already have a place in the 7-pack of local business results. If you don’t show up on the first page don’t be discouraged, because in my next article, I’ll explain how to building citations or “links to your listings” that can strongly impact your rankings. Today, I would like to draw your attention to a couple of recent changes to the USP Dissolution Testing monograph that you may need to be aware of. Two new draft USP General Chapters on Topical and Transdermal Drug products have been published in the Pharmacopeial Forum Vol. 35, No. (3) May-June 2009. The General Chapters are: <3> Topical and Transdermal Products-Product Quality Tests; and <725> Topical and Transdermal Products-Product Performance Tests. You can find these if you follow the links provided above. These are important developments since dissolution testing is plying a very important role in the pharmaceutical industry during drug development, quality control and stability programs. The test is used in order to assure consistent product (batch) quality within a defined set of specification criteria and all products must pass to be on the market. Initially, the dissolution testing procedure was developed for immediate release solid oral dosage form products and later it was extended for extended/controlled/modified release solid oral dosage form products. Recently, the application of dissolution testing has widened to a variety of “novel” or “special” dosage forms, such as suspensions, orally disintegrating tablets, chewable tablets, chewing gums, transdermal patches, semisolid topical preparations, suppositories, implants, injectable micro-particulate formulations, and liposomes. It is referred to as the “drug release test”. Until now, because of significant differences in formulation design among these novel/special dosage forms, it was not possible to develop a single test protocol that could be used to study the drug release properties of all products. Rather, different apparatus, procedures, and techniques have been employed on a case-by-case basis. The two new draft USP General Chapters on Topical and Transdermal Drug products have been published in Pharmacopeial Forum 35(3) May-June 2009 to address this need. These two General Chapters are part of a series of chapters that will cover product quality and performance tests for the five routes of administration. In addition to the transdermal route, the other routes of administration include injection, mucosal, inhalation, and gastrointestinal. The Draft General Chapter <3> is the first in the default monograph series. For oral dosage forms (gastrointestinal), <711> and Dissolution, <724> Drug Release are examples of product performance chapters. The general Chapter <725> covers the apparatus and procedures used to evaluate the in vitro drug release and proposes a performance verification test to assess equipment performance. The product performance test is consistent with that proposed in the FDA Guidance for Industry, Nonsterile Semisolid Dosage Forms, Scale-up and Postapproval Changes: Chemistry, Manufacturing and Controls; In Vitro Release Testing and In Vitro Bioequivalence Documentation (SUPAC-SS). All this information has been posted on the USP web site. Comments and suggestions for these tests and procedures are invited from interested parties through the routine Pharmacopeial Forum comment process. I encourage everyone who may be affected by this to participate. Reposted from DiTeba Research Laboratories Inc.
Dr. Theo Kapanadze, D.Sc., Ph.D. Chief Scientific Officer, Executive VP Science Dr. Kapanadze is a co-founder of Diteba Research Laboratories Inc. 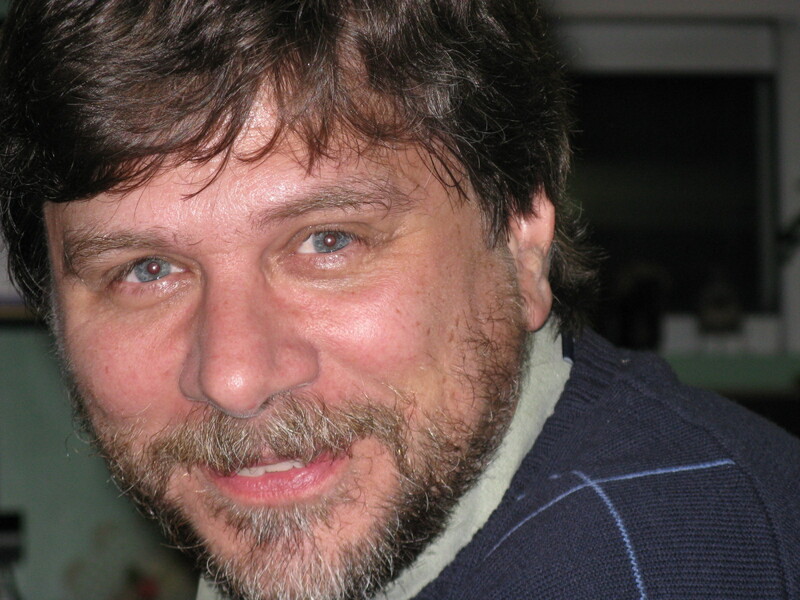 He has more than 30 years experience as an academic researcher, university professor and leading research scientist at major Canadian pharmaceutical and CRO companies.